After 13 years of loyal service, support for Windows XP and Office 2003 officially ended on 8 April 2014. And while PCs running XP still work, Microsoft are no longer offering technical support, seeding security patches, pushing bug fixes or developing service packs. 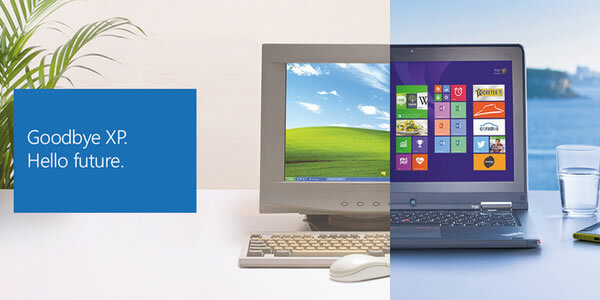 Find out what the end of Windows XP support means to you, what your options are and how a switch to today’s tools and devices can place your business on the front foot for tomorrow. Just give Spot-On Computing Services a call, and we’ll ensure you are heading in the right direction – Don’t leave it too late !! This entry was posted in Blog and tagged Windows XP. Bookmark the permalink.